Practically everywhere in the older parts of Istanbul, there are fountains. Water was an integral part of city life, both for drinking and washing. Demonstrated by not only the fountains but also the aqueducts that brought fresh water from afar and the cisterns where it was collected and the fountains capping underground springs in various neighborhoods. 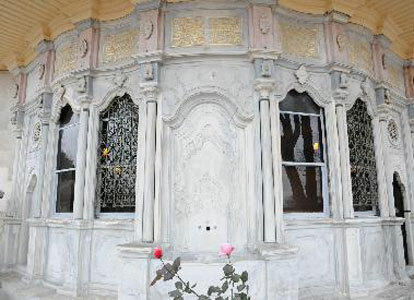 Once pipes were laid throughout the city, the old Ottoman fountains were no longer necessary and the sites where once water was distributed and passersby could get a refreshing drink, sank into disuse despite of the fact many of these fountains bore the names of important people from sultans to mothers of sultans and from grand viziers to paşas.